Why Does DCPFY Need Me? 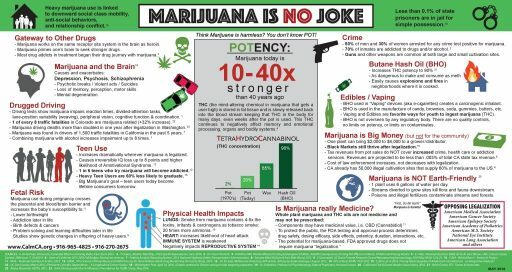 National Institute on Drug Abuse presents drug facts that tells us what marijuana is, gives us information about strength and potency of the THC, tells us what are marijuana extracts, and gives us more options to choose from that give you basic information about marijuana. A short video from National Institute on Drug Abuse that shows how the brain responds to marijuana. 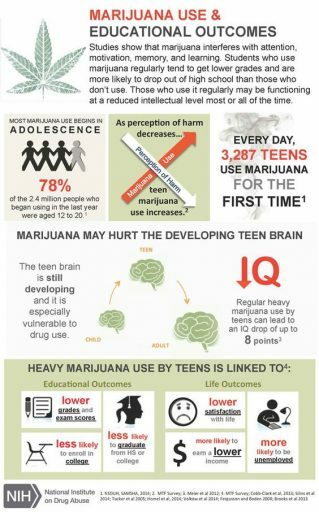 This article presents the potential youth risks of using marijuana. Even though marijuana shows promise with treating medical conditions there is evidence showing that THC is not risk free. The Alcohol and Drug Abuse Institute at the University of Washington looks at adolescents and marijuana facts and general information. This article include information about the increased rick of mental health issues and other concerns. The American Academy of Child and Adolescent Psychiatry presents a short article about signs and symptoms associated with youth marijuana use. It also presents a short list of short-term and long-term effects that marijuana use can lead to. The Wisconsin State Council on Alcohol and Other Drug Abuse, Prevention Committee, and Marijuana Ad-hoc Committee give us a researched-based review and recommendations for reducing the public health impact of marijuana. This 74 page booklet was developed in June of 2016. This report contains the 2013 results in Wisconsin that focused on the following: protective assets, traffic safety, weapons and violence, suicide, tobacco use, alcohol and other drug use, sexual behaviors, and nutrition and exercise. Click here to be taken to a list of facts.